Associate Professor Judy Bauer has a strong commitment to the dietetics profession and is the Translational Research Leader for the Dietitians Association of Australia. From 2010-2016 she was the Director of the Centre for Dietetics Reseach at the University of Queensland, served as the foundation Chair of the Nutrition Group of the Clinical Oncology Society of Australia and an Editorial Board Member for Journal of Human Nutrition and Dietetics. 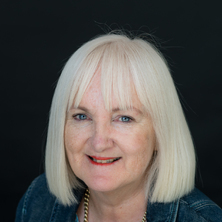 Judy has served two terms as a Director of the Dietitians Association of Australia, Associate Editor and Supplement Editor of Nutrition & Dietetics. From 2009-2013 she was a member of the Australian Dietetics Council, which advises on nutrition and dietetics curricula and competencies and reviews programs in Australia. Associate Professor Judy Bauer's research interests include evidence based practice, translational research, nutrition intervention for malnutrition, cancer and chronic kidney disease. A focus has been in measuring outcomes of dietetic intervention, development of appropriate tools in clinical practice and role of fish oil in cachexia and inflammation. Her research has included development and validation of nutrition screening and assessment tools, innovative dietetic intervention programs in oncology and chronic kidney disease, evidence based practice guidelines for the nutritional management of cachexia, radiation therapy and new wiki based head and neck cancer. She is regularly invited to speak on the topic of evidence-based practice, translational research, nutrition screening and assessment, and oncology nutrition interventions. Investigating the feasibility of implementing a pre-operative Very Low Calorie Diet weight loss program into the pre-operative model of care for general elective surgical patients. Bauer, Judy, Read, Jane and Chapman, Kathy (2010). Addressing the nutritional needs of patients undergoing cancer treatment - a dietitian's view. In Monica C. Robotin, Ian N. Olver and Afaf Girgis (Ed. ), When Cancer Crosses Disciplines: A Clinician's Handbook (pp. 267-284) London, UK: Imperial College Press. Chapman, Kathy, James, Erica L., Read, Jane and Bauer, Judy (2010). The benefits of nutrition and physical activity for cancer survivors. In Monica C. Robotin, Ian N. Olver and Afaf Girgis (Ed. ), When Cancer Crosses Disciplines: A Clinician's Handbook (pp. 1077-1098) London, England, U.K.: Imperial College Press. Barriers to nutritional intake in patients with acute hip fracture: time to treat malnutrition as a disease and food as a medicine? Omega-3 fatty acids and changes in LBM: alone or in synergy for better muscle health? Findlay, Merran, Bauer, Judith, Clarke, Stephen and Isenring, Elisabeth (2013) Understanding nutritional issues in the older person with cancer. Cancer Forum, 37 3: 234-237. Isenring, Elisabeth, Bauer, Judy, Banks, Merrilyn and Miller, Michelle (2012) Managing malnutrition: Identifying and treating unintentional weight loss in adults. Medicine Today, 13 3: 67-72. Bauer, Judith D. (2011) Overview of nutrition and cancer. Cancer Forum, 35 2: 79-80. McKellar, S., Horsley, P., Chambers, R., Pullen, M., Vandersee, P., Clarke, C., Callum, H. and Bauer, J, D. (2008) Development of the diet habits questionnaire for use in cardiac rehabilitation. Australian Journal of Primary Health, 14 3: 43-47. Bauer, Judy, Isenring, Elisabeth and Ferguson, Maree (2008) Dietary counseling: Evidence in chemotherapy patients. Journal of Supportive Oncology, 6 8: 354-355. Are we providing nutritional care to the stroke patient in accordance with National Stroke Foundation guidelines? Mahero, Juliette, Bauer, Judy and Bell, Jack (2018). Are we providing nutritional care to the stroke patient in accordance with National Stroke Foundation guidelines?. In: , , (38-38). .
Britton, B., Baker, A., Wolfenden, L., Wratten, C., Bauer, J., Beck, A., McElduff, P., McCarter, K. and Carter, G. (2016). 'Heads Up': a Pilot Study of a Behavior Change Intervention for Head and Neck Cancer Patients Undergoing Radiotherapy. In: International Journal of Behavioral Medicine. , , (S212-S212). .
McCarter, K., Britton, B., Baker, A., Wolfenden, L., Wratten, C., Bauer, J., Beck, A., McElduff, P., Halpin, S. and Carter, G. (2016). Co-Occurring Depression, Tobacco and Alcohol Use in a Sample of Head and Neck Cancer Patients Undergoing Radiotherapy. In: International Journal of Behavioral Medicine. , , (S83-S83). .
McCarter, K., Britton, B., Baker, A., Wolfenden, L., Wratten, C., Bauer, J., Beck, A., McElduff, P., Halpin, S. and Carter, G. (2016). Improving Screening and Referral of Head and Neck Cancer Patients for Psychosocial Distress. In: International Journal of Behavioral Medicine. , , (S213-S213). .
Blake, Claire, Lai, Rainbow, Moroney, Laura, Helios, Jennifer, Hughes, Brett, Chua, Ben, Bauer, Judy and Brown, Teresa (2016). Nutrition Outcomes and Toxicities Following Helical-Intensity Modulated Radiotherapy (H-Imrt) in Patients with Head and Neck Cancer. In: Asia-Pacific Journal of Clinical Oncology. , , (124-124). .
Britton, B., Baker, A., Wolfenden, L., Wratten, C., Bauer, J., Beck, A., McElduff, P., McCarter, K. and Carter, G. (2016). Reducing Malnutrition in Head and Neck Cancer Patients Undergoing Radiotherapy. In: International Journal of Behavioral Medicine. , , (S213-S213). .
Brown, Teresa, Banks, Merrilyn, Hughes, Brett, Lin, Charles, Kenny, Lizbeth and Bauer, Judith (2016). Understanding Initiation of Nutrition Support in Patients with Head and Neck Cancer (Hnc) and Adherence to Recommendations-A Patient Perspective. In: Asia-Pacific Journal of Clinical Oncology. , , (117-117). .
Beck, A., Britton, B., Baker, A., Wolfenden, L., Wratten, C., Bauer, J., McElduff, P., McCarter, K. and Carter, G. (2016). Using Behavior Change Counselling to Facilitate Head and Neck Cancer Patients' Engagement with Dietetic Intervention .... In: International Journal of Behavioral Medicine. , , (S212-S213). .
McCarter, Kristen, Wolfenden, Luke, Baker, Amanda, Britton, Ben, Beck, Alison, Carter, Gregory, Bauer, Judy, Wratten, Chris, McElduff, Patrick and Halpin, Sean (2015). A Clinical Practice Change Intervention to Increase Dietitian Provision of Depression Screening and Referral for Head and Neck Cancer Patients. In: Asia-Pacific Journal of Clinical Oncology. , , (12-12). .
Findlay, Merran, Shaw, Tim, Bauer, Judith, Rankin, Nicole, Boyer, Michael, Milross, Chris, White, Kate and Beale, Philip (2015). Designing Complex Interventions to Translate Research Into Practice: a Rare But Important Opportunity for Nutrition Care. In: Asia-Pacific Journal of Clinical Oncology. , , (101-101). . Maintaining Evidence-Based Guidelines Online: Update On Nutritional Management of Patients with Head and Neck Cancer. Do skeletons in the hospital closet still exist? What so they eat? Banks, Merrilyn, Bauer, Judith, Ferguson, Maree and Isenring, Elisabeth (2009). Concurrent validity of the malnutrition screening tool in aged care residents. In: Nutrition & Dietetics. Proceedings of: Dietitians Association of Australia 27th National Conference. Dietitians Association of Australia 27th National Conference, Darwin, Australia, (A12-A12). 28-30 May 2009. How does the new diagnostic criteria for protein-energy wasting in chronic kidney diesease compare with the ICD-10 AM definitions? How does the new diagnostic criteria for protien-energy wasting in chronic kidney disease compare with ICD 10-AM definitions? Denmeade, Sharyn, Moynahan, Lynda and Bauer, Judy (2009). How does the new diagnostic criteria for protien-energy wasting in chronic kidney disease compare with ICD 10-AM definitions?. In: 5th Cachexia Conference, Barcelona, Spain, (). 5-8 December 2009. Zabel, R., Ash, S., Mortimer, C., King, N. and Bauer, J. (2007). HIGH PREVALENCE OF DISTURBED APPETITE IN A WELL NOURISHED DIALYSIS POPULATION. In: , , (A23-A23). .
IS WEIGHT CHANGE ADEQUATE TO ASSESS CHANGE IN NUTRITIONAL STATUS IN CKD PATIENTS? Campbell, K. L., Ash, S., Davies, P. S. W. and Bauer, J. (2007). IS WEIGHT CHANGE ADEQUATE TO ASSESS CHANGE IN NUTRITIONAL STATUS IN CKD PATIENTS?. In: , , (A44-A45). .
Bauer, J. and Isenring, E. (2004). Nutrition advocates: a critical role for nurses. In: 27th Queensland Cancer Fund Oncology Nurses Group Conference, Brisbane, Australia, (). 8-9 November 2004. A protein and energy dense, n-3 fatty acid enriched, oral nutrition supplement improves dietary intake in pancreatic cancer patients. What could the Full Scope Nutrition Assistant role look like? Modern Interventions of Nutrition for Diabetes SElf managemenT (MINDSET): can they deliver better outcomes when compared to conventional approaches in community-dwelling adults?